If you only optimize your website to get views, you’re in trouble. You must optimize for audio too if your brand wants to keep up with the growth in voice-activated searches. 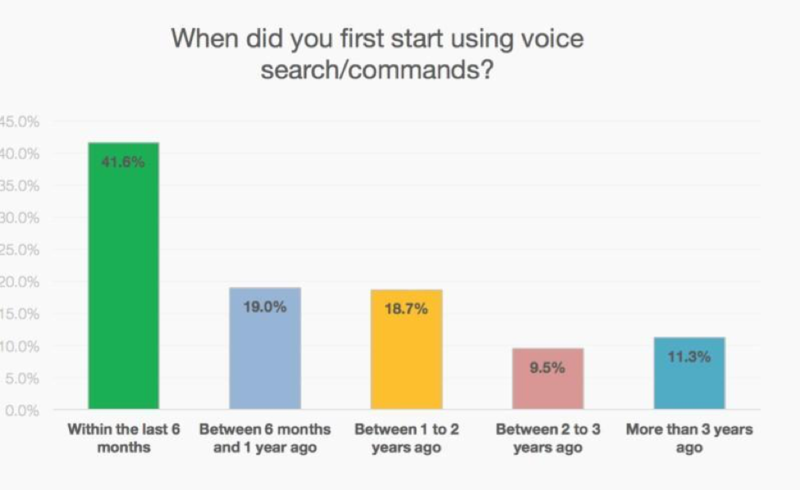 This graph from Search Engine Land illustrates the rapid recent adoption of voice-activated assistance. It is imperative to adapt and to optimize your pages and your content for audio search to become the resource for people searching from their mobile devices or voice-activated assistants like Alexa, Siri, Cortana, and Google Home. People make voice inquiries more like they are speaking to someone, not just giving a voice to the few words they would have typed into a search bar. Thus, they use more words in voice searches. Voice searchers also are more likely to ask questions (again, more conversational inquiries). And, as Christi Olson writes, those question words (who, what, how, when, where, why) often indicate the searcher’s intent. For example, if a consumer asks, ‘What is the difference between an infant car seat and a convertible car seat?’ they are likely just researching. But if they ask, ‘How much is a Mesa car seat?’ or ‘Where can I buy a Mesa car seat?’ they are much closer to taking action. While you shouldn’t ignore non-voice SEO, you need to adapt your strategy and come up with content that encompasses what both types of searchers want. Now, let’s focus on three major steps to make your site louder (i.e., higher rankings) for the ears of voice searchers. And, really, these tips work to improve your site for all types of searchers. Google values speed for all, but particularly for voice searches. People who use voice search often are mobile-based. They are not necessarily connected to broadband fiber networks. They want websites that load fast and deliver results right away. They won’t wait for a page to take 10 or 20 seconds to load. Check your page’s load speed and if you think you can make improvements, make them as quickly as possible because your ranking may depend on it. Not only will you learn about your site’s load times, you also can get detailed optimization suggestions along with information on how to implement them. Another good SEO practice – for mobile and desktop – is to implement HTTPS protocol, which indicates that your website is certified with Secure Sockets Layer (SSL). Search engines favor the websites that are deemed to be trusted. Short-form content can prove to be particularly effective for audio searches. Since people more often ask questions in voice search, they seek content that delivers simple, intelligible, and comprehensive answers. 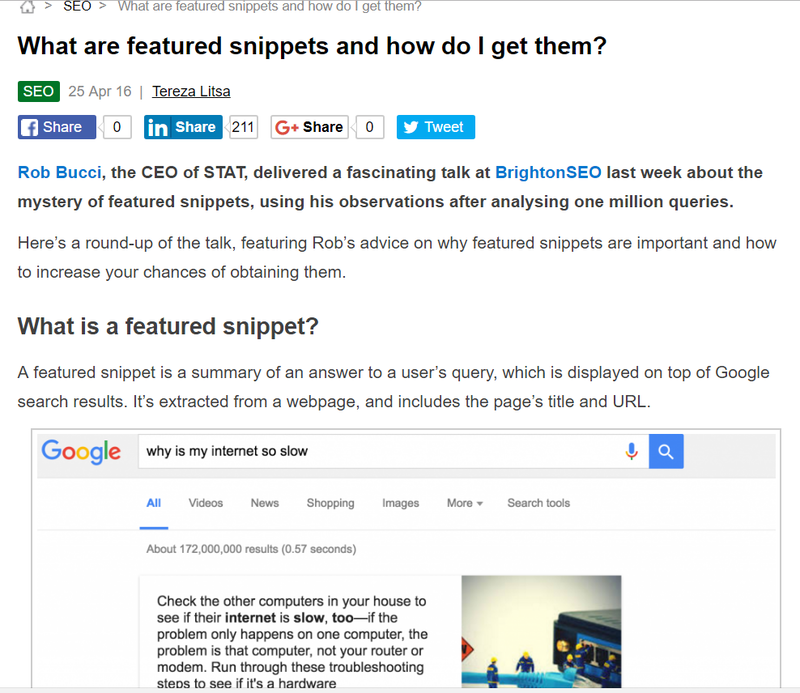 If your articles provide such knowledge in an efficient format, your content could qualify for Google’s feature snippets, also known as position zero (and often what is read out loud to the searcher). And the voice excerpt read to the searcher (displayed above in writing) isn’t the first line of the article. But it is near the top and provides a succinct answer (and the question mirrors the H2 verbiage). 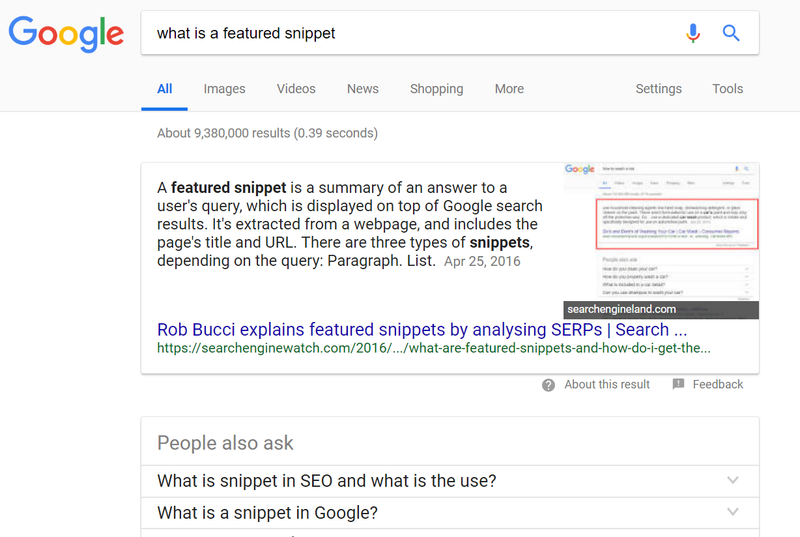 Fortunately, as it does for speed optimization, Google explains feature snippets and how to get to position zero in this blog post. This will make it easier for you to understand the concept and learn how to adapt your content to it. 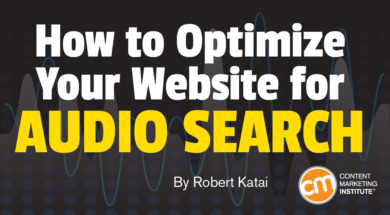 Don’t disregard long-form content when optimizing for audio. 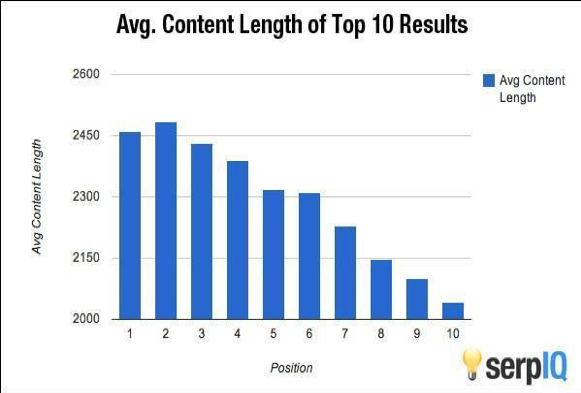 An article’s length directly affects its position in search engine rankings, as illustrated in this chart from SerpIQ. As you can see, the longer articles are more visible in rankings, likely because they contain a lot of information and include a high concentration of diverse keywords that may trigger responses for several searches. Long articles usually contain more outbound links, which may be a reason for the better ranking. Why? Authors or sites cited in these links may further the content’s reach by sharing the content through social media (amplifying its reach indicates to Google that the content should be more valuable to searchers). You also should consider incorporating audio files into your content. 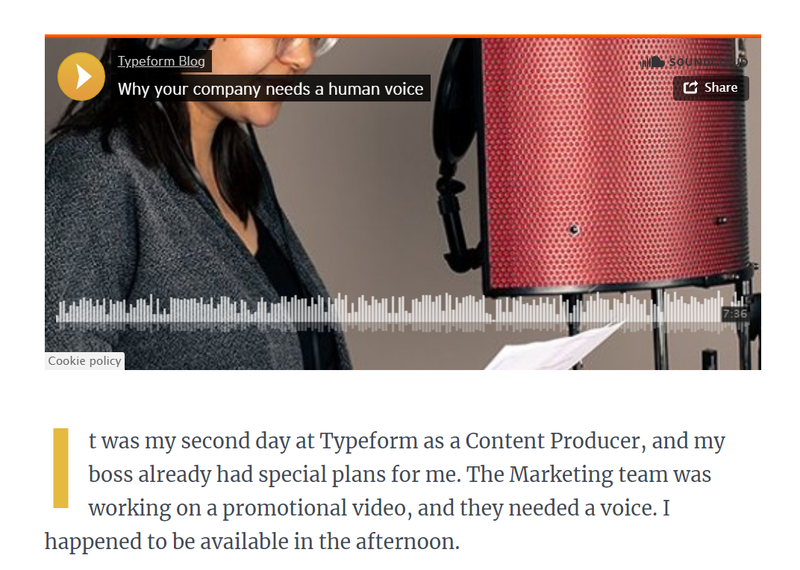 This article from Typeform, Why a Company Needs a Human Voice, includes an audio version (i.e., podcast) of the text at the top of the page. A mobile searcher likely does not have the time to read a long-form article. They can, however, listen to the audio version as they run from one place to another. While search engines don’t crawl audio files, Typeform’s full transcript (i.e., the text-based article) makes the content searchable. Moreover, the article features simple phrases that are easy to understand and place into context – another great move for voice search. As I said, people verbally pose questions because they are searching for answers. Think about your audience and write your content that answers their questions in an easy-to-understand way. Use short sentences, break up chunks of texts with visuals and white space, use quotes and citations to consolidate what you write. 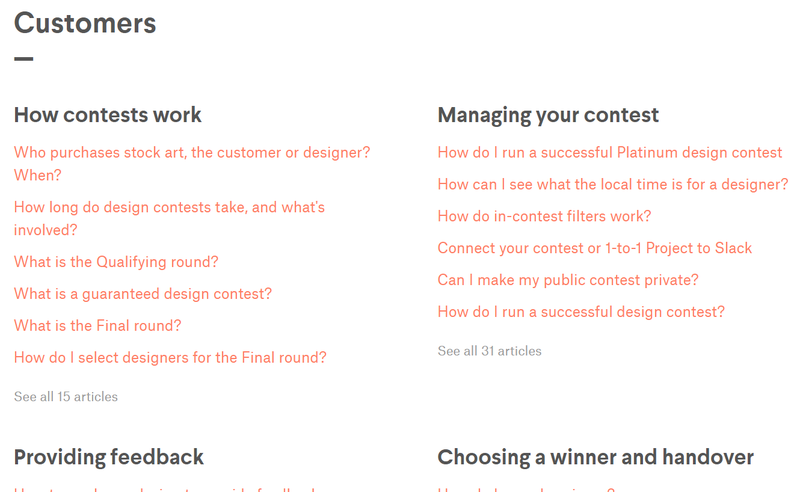 Create FAQ pages. They make a great addition when you optimize for voice search. Type some important questions related to your industry and give brief, straightforward answers. Create stunning visuals. Mobile searchers who opt to view the results will be attracted to content with great visuals. TIP: Upgrade your site to use HTML5, which is SEO-friendly, and as a consequence it may help you rank your page better in searches, including voice searches. Considering that people use voice assistants and voice commands primarily on mobile devices, it’s important to optimize your pages for mobile (and it makes sense given Google’s mobile-first approach). If your content delivers what mobile searchers and readers want, it minimizes the bounce rate, which pleases search engines. Your website must be designed responsively, but you should take it one step further. Visually check your site’s content to see how it displays on several types of mobile devices with different resolutions. If needed, adjust your typography for better readability. Another great option is to use an AMP plug-in to distribute your articles across mobile devices. Accelerated Mobile Pages is an open-source project created by Twitter and Google to optimize pages for fast loading on mobile devices. For WordPress-based sites, you can use this AMP plug-in, which allows you to publish AMP versions of your content in a single click. HANDPICKED RELATED CONTENT: Should You Worry About Your SEO and Google’s Mobile-First Index? As technology advances, user behavior adapts. Voice promises to evolve, and consumers’ use of voice-activated content will only expand. It’s important to keep the ears of searchers in mind as you create content and optimize your website. The great thing is you don’t have to focus on audio SEO to the detriment of non-audio SEO because, in general, what is good for audio also is good for text-based SEO. What do you think about the audio revolution? How do you evaluate the level of optimization you need to undertake to get on top of search engine rankings and maintain those positions? Want to hear expert insight and get verbal in person with your fellow content marketers? Register today to attend Content Marketing World Sept. 4-7 in Cleveland, Ohio. Use code BLOG100 to save $100.